When he’s asked about junior hockey, Mike Snee likes to use an analogy involving pizza. “USA Hockey and their American Development Model, it’s been a spectacular addition for the American hockey player,” said Snee, the executive director of College Hockey Inc. “There are a handful of key pieces to it, but one of them is don’t skip steps, don’t speed it up. Between a hockey player’s youth career and pro career is a window of time crucial for their development. In most sports, that’s college athletics. In hockey, however, junior hockey allows for even more time to hone one’s physical and mental skillset before entering the college or professional ranks. “You’ll hear coaches say that a benefit of college hockey is that it’s a longer runway,” Snee said. “It gives you more time in a setting that’s heavy on development – lots of practice time, lots of weight room time, all of that, versus thrusting you into a performance setting, which pro hockey is. And the significant majority of players in college hockey play at least one year of junior hockey after 16U or high school, and many play two or three. Bill Muckalt has seen the impact of junior hockey as both a player and a coach. After playing juniors in Canada, Muckalt played for the University of Michigan. Now, he’s an assistant coach at his alma mater. In between, he played in the NHL and served as the head coach of the USHL’s Tri-City Storm. Junior hockey also helps players see how they stack up against those fighting for college spots and beyond. 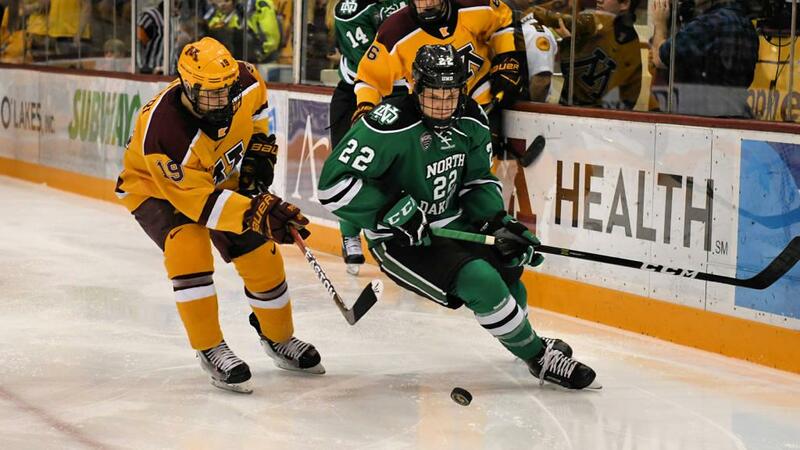 “I think that everybody, once they get to that level of hockey, they have a goal to play college hockey or play one day in the National Hockey League,” Muckalt said. “And junior hockey gives them a good barometer. A lot of these players coming in to juniors, they’re the top guys on their high school team or their youth hockey team or academy team. Then they come in and they realize they have a lot of work to do and the cream kind of rises to the top. And as Snee points out, the proof is in the pudding.